At NTT DATA we place real significance on creating an environment where a variety of different voices are encouraged and heard. These voices come from people who may or may not be of the same gender, sexuality, race or ethnicity. Diversity means different things to different people, and creating an environment where everyone can flourish is essential for not only NTT DATA, but also for our clients. Diversity & Inclusion at NTT DATA is not a one off initiative, but an underlying principle that helps drive our business. Our leadership team underpin and drive our D&I strategy. Seek Diversity - We look to recruit from a diverse pool using the best techniques. We also use best practice for training hiring managers to ensure the hiring criteria and process is inclusive. Create Inclusion - It is not enough to only hire a diverse workforce. It is crucial to leverage diverse perspectives for the benefit of the business as a whole. We want to ensure that we bring awareness to unconscious bias and discuss it openly. Doing this means that multiple perspectives are shared and considered leading to better decision making. Drive Accountability - Our diversity and inclusion focus makes it clear that our work environment promotes free speaking. We encourage our employees to speak out against biases to create an open and honest environment where everyone can feel safe and nurtured. Cultural Diversity which celebrates and supports staff with a wide range of cultural origins whilst finding out more about their countries, particularly food and music. 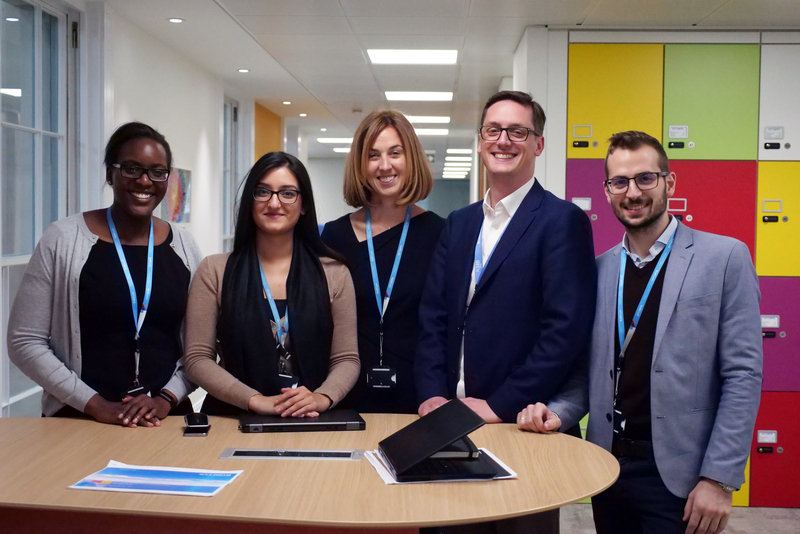 Everyone who works at NTT DATA in the UK has an opportunity to actively participate in the D&I and CSR Programs and we often involve our clients who speak at and attend D&I Conferences, whilst also holding joint D&I events with client teams on a regular basis.